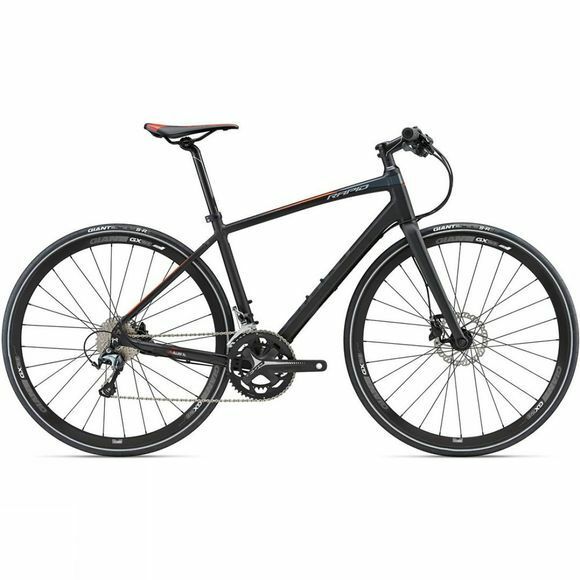 Hop on the fast track to fitness and fun with the Rapid 1 2018 from Giant. Rapid offers smooth-rolling efficiency with added comfort and control. The speed and efficiency of a road bike with the added control of a flat handlebar. This lightweight flyer is built with a premium ALUXX SL aluminum frame and stretched out geometry, giving it a quick yet comfortable feel on the road.